Reserve your Smart Vent TODAY! Backorder and reserve your Flair Smart Vents now! GOOD NEWS—Flair funding, Smart Vents, and more! We’ve got a big announcement: we’ve closed a major funding round that will support our growth! Flair now features 7-Day Scheduling! Flair's scheduling allows you to create a schedule for individual rooms in your home. Scheduling allows you to schedule temperature set points for days and times of your choosing. 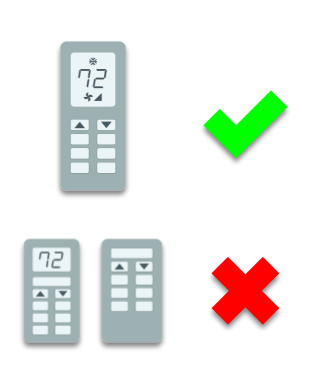 Flair will then use its automation to control your Smart Vents and/or IR devices in order best achieve this desired temperature. Flair Smart Vents work with Honeywell Lyric thermostats! Flair's Pucks and Smart Vents work with Honeywell Lyric thermostats! Whether you have a Honeywell T5, T6, or Round Wi-Fi Thermostat, you can eliminate uneven room temperatures throughout your home. Get the perfect temperature in every room. Learn more today! This Earth Day, we want your home to be more comfortable and energy efficient.